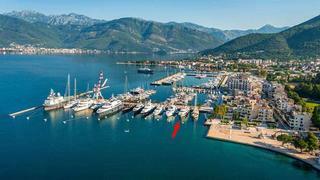 More berth news from from Peter Insull's Yacht Marketing as they report their appointment as central agents for sale of a 50m x 12m berth in Porto Montenegro. This modern marina, first opened in 2009, lies in the dramatic setting of the Bay of Kotor, Montenegro. Arguably one of the most protected harbours in the Mediterranean and with low annual charges, Porto Montenegro was specifically designed to offer all the modern facilities required as a home base for both owners and crew. With an ideal climate boasting, on average, 250 days of sunshine a year, this spot is accessible within three hours from many European cities via three international airports. Offered for sale at €1,950,000, the berth's lease runs until May 2027.